Midwestern Gothic staffer Audrey Meyers talked with poet Keith Taylor about his collection The Bird-while, writing as a life-long identity, the paintings of Vermeer, and more. Audrey Meyers: What is your connection to the Midwest? Keith Taylor: I first moved to the Midwest – South Bend, Indiana – over 50 years ago. After spending a few years away, I returned to live in Michigan. I’ve been lucky here: I married a woman from Detroit and I’ve had good work that has allowed me time to write. And think. The attitudes of the Midwest have become my attitudes. AM: How has living in Ann Arbor impacted your writing? KT: Oh, Ann Arbor is an easy place for writers to live. Bookstores! Readings regularly at the University or around town. A general attitude that a life in the arts is possible and reasonable. There is a large community of the arts here and most people can find the support they need. And there are places to publish! I think I would have become a writer without Ann Arbor, but I would have been a very different writer. AM: As a creative writing professor at the University of Michigan, how does the classroom and your students affect your writing? KT: Mostly, to be around serious young students of writing, the professor has to try to keep up with the new work that is being done in the country, the work that is influencing the students. That keeps my reading fresh, and keeps me reevaluating my own work. I think that is a necessary part of the process. I came back to teaching rather late. I was 47 years old when I left bookselling to focus on teaching, so it is different for me than for many writer/teachers. I never expected to have these long vacations, this institutional intensity focused on the work. AM: Since The Bird-while is your 16th collection of poetry, what inspires you to keep writing? KT: At some point – maybe 20 or 25 years ago – it became clear to me that I was a writer whether I wanted to be or not. And this had only a little to do with the actual making of books. Not only was the act of writing essential to my self definition, but it had become the way I think. The way I understand the world. Now, I would be lost without it. AM: Nature, the spirit, and mind are prominent themes in your book. How do they interact and relate to one another? How do you express this in poetry? KT: Wow! That’s a big question! Millions of pages have been written on this — not only in Western philosophy but in Buddhist philosophy too. And I don’t have an answer for it. But there is something in the image – in finding the image in the world and then finding the words to recreate the image. Something there. We reach out past mind to the world and the distinctions disappear. Gary Snyder – wise poet and life long student of Zen – entitled his selected poems No Nature. If there is no distinction between mind and nature, then there is no nature. But it is hard to write this quickly. It sounds too easy. AM: Where did you spend your time writing The Bird-while? In other words, what setting helped you to create these poems? KT: Most of my work this last decade has been written in my little house on the west side of Ann Arbor or in a little cabin up at the University of Michigan Biological Station, where I’ve had the pleasure of teaching for the last dozen summers. I do keep a journal and it goes with me everywhere I travel, so ideas get jotted down around the world. But the poems mostly take shape at home. AM: Your book is uniquely structured by not having section breaks. What does this style accomplish for your poetry? What motivated you to make this choice? KT: Yes, thanks for noticing! My sense is that the process of thinking, of experiencing the world that goes into a book of poems – and for me, into this book in particular – was not broken into units. Yes, there are clusters of poems related by image or idea, but they are connected to other clusters. I didn’t want a big break between them like a numbered section would indicate. I imagined the breaks as hesitations. I was going to leave blank pages, but then it occurred to me that I could get my old friend Tom Pohrt to do illustrations for those moments. I feel very fortunate that he agreed. AM: What life experiences influenced your poetry in The Bird-while? KT: Oh, all my life experiences influenced the book! But that’s too easy. Certainly, my own aging is a part of this book, a recognition of the exquisite small moment. There are lots of moments of my reading in here, sometimes obvious, and sometimes quite hidden. But I am a person of books and I bring them with me even when watching birds. Museums have always been important to me. And there are several museum moments in this book. Travel, of course. Maybe travel is less important in this book than it has been in some earlier ones, but it is still here – even if some of travel recounted is from my daughter’s trips rather than mine. AM: How did you implement Emersonian sensibility into your poetry? KT: I’m not sure I set out to implement Emerson in my work, but I have studied him closely at different times in my life. His idea of being open to the natural world, the giant eye-ball, has always interested me, but more as a description of things I already sensed in myself than as something I had to impose on myself. There is a radical uncertainty in Emerson, and I cherish that. AM: What were your main challenges when writing these poems? KT: The challenges never seem to change. I have to find the time to make poems in a world that really doesn’t care whether I make them or not. And even now, in my mid-60s, I have to convince myself that the process and the poems themselves are worth the time. Perhaps no artist is ever free of self-doubt, but we have to recognize it and resist it all the time. The world presents endless subject matter for poems, but not all of that can get into my poems. I have to find the right words for the things that need to be in my poems. That challenge will never end. AM: What do you hope readers take away from your poetry? KT: Another tough one. Yes, I have hopes for my readers, even if they are not front and center in my mind in the moments of composition. I hope I can communicate something of the exquisite facts and mysteries of the world. Of my experience of it, anyway. I would hope readers might share that and might be pleased by the words I found to express it. That’s a lot to hope for, I know. It might be impossible. AM: What’s next for you? KT: The poems won’t end. Even as I’m working on a chapbook sized collection of short poems about my neighborhood, I’m beginning to take notes on three larger poems, three that might make a book all on their own. They are poems that contain information and thinking and that move slowly through thought. I’m not sure I can write them the way I’m imagining them now. I have two bigger prose projects in mind – and I think I have to quit working before I can sit down and work on those. I’m going to stop working for the big University in a year or so, mostly to get to these projects. And I’ve decided there are a couple of things I want to see of the world before I leave this vale of tears. I want to officially see 1,000 species of birds. That’s about one-tenth of the birds on the planet, and it can be done quite easily. I’m at 680 right now. I’ll have to do some more trips to interesting places. And I want to see all the paintings of Vermeer. My reasons for this are various, but it’s mostly because they are small, exquisite, so clearly done with love, and are so important to the development of the modern artistic temperament. I haven’t really intended to write about these two “projects” at all, until someone suggested to me that 35 Paintings and a Thousand Birds is a pretty good title. We’ll see. 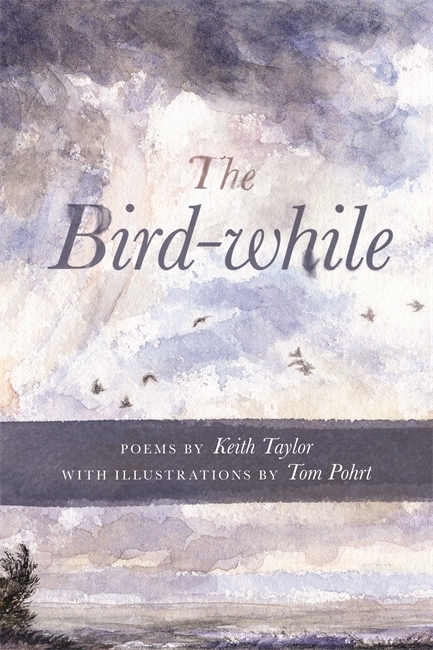 Poet and writer Keith Taylor teaches in the undergraduate and graduate programs in creative writing at the University of Michigan, directs the Bear River Writer’s Conference, and is the poetry editor for Michigan Quarterly Review. His sixteenth collection, The Bird-while, was published by Wayne State University Press February 2017. 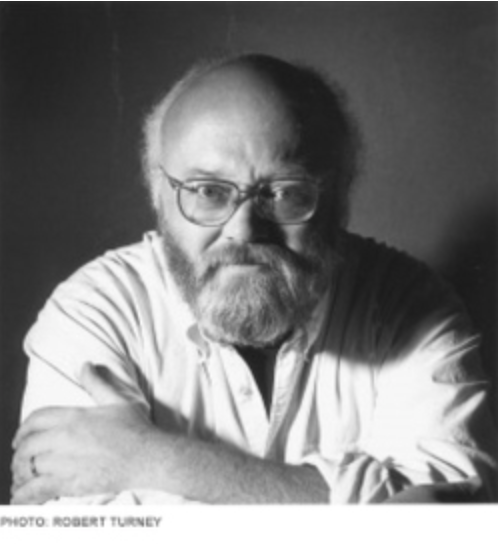 Fidelities was published in 2015 by Alice Greene & Co. Keith’s work has appeared in such publications as Story, The Los Angeles Times, Alternative Press, The Southern Review, Michigan Quarterly Review, Notre Dame Review, The Iowa Review, Witness, Chicago Tribune, and Hanging Loose. Other books are Marginalia for a Natural History published by Black Lawrence Press, and Ghost Writers, a collection of ghost stories co-edited with Laura Kasischke, published by Wayne State University Press.